Hey everyone! My name is Audrey. This fall, I will be going into my senior year at the University of Oregon where I am studying Public Relations with a minor in Business Administration. As an aspiring public relations professional, I look forward to honing on my verbal and writing skills in any way I can. With this being my first internship, I could not be more excited to work alongside and learn from the talented team here at Curator. I am very interested in the development of company client relations and how they are maintained as well as social media and digital marketing. By the end of the summer I look forward to bringing all the PR tools I acquire here and implementing them in my studies at Oregon. Though I was born in Georgia, I have spent most of my life in Washington until I moved to Eugene, Oregon for college. Why Eugene, you ask? It’s not like the weather is any better, nor is it in an incredibly populated city, so why? No one could have convinced me to leave the PNW, but I wanted a change from Washington and the experience of attending a bigger school- hence the University of Oregon. At the U of O, I am involved in a variety of clubs and campus organizations. 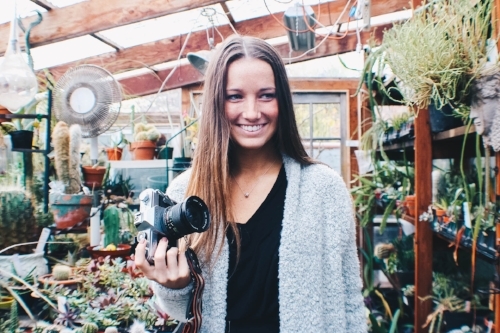 Currently, I am the Employer Engagement Team Lead of the LCB Career Ambassador team, UO PRSSA Photographer and Website Designer, UO Dance Team Photographer, and Chi Omega sorority Marketing Director. As an intern at Curator, I’m looking forward to finally stepping out of the classroom and applying what I learned, like my writing and pitching skills. When I’m not working, I’m most likely yelling “Go Ducks” at people on the street, taking my camera out on new adventures, dancing to Beyonce’s “Love on Top,” or making gourmet Kraft mac-n-cheese.